An international summit on ocean wealth has been hearing how Ireland's blue economy will be worth €6bn by 2020. The conference has been taking place in Galway as part of this weekend's Seafest maritime festival. Galway Harbour and docks have been transformed into a maritime village for the festival. An estimated 100,000 people will visit Seafest 2018 where there will be free public tours of naval vessels, sailing lessons, workshops and talks on careers in the Navy and marine sector. The ocean economy is growing and there are now over 30,000 people directly employed in the marine industry sector. The award winning cameraman, Doug Allan, will share his ocean adventures at Seafest with screenings of his documentaries and question and answer sessions. 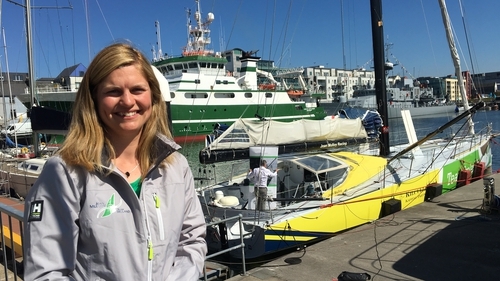 Meanwhile Mayo woman Joan Mulloy is aiming to be the first Irish woman to sail solo around the globe in 2020. She is seeking sponsorship for the sailing. There will also be acrobatic displays from world class fly-boarders, Powerfly. Further information is available on www.seafest.ie.